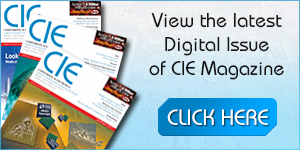 Silica, an Avnet company, is expanding its range of microcontroller development tools by introducing a new ARM-based board for industrial applications. Designed under the umbrella of Silica"s Core ‘n More support programme, Pengwyn is a low cost single-board computer based on TI"s AM 3354 ARM Cortex-A8 microprocessor. Mouser Electronics has signed a worldwide distribution agreement with Altera Corporation, a global supplier of programmable logic ICs. Through this agreement, Mouser will become an authorised global distributor of Altera FPGAs, CPLDs, development tools, intellectual property cores and development kits. Future Lighting Solutions, a division of Future Electronics, and LG Innotek, an affiliate of LG Group, have announced a strategic worldwide distribution agreement that will introduce LG Innotek’s entire portfolio of LED lighting solutions to the market. The portfolio features one of the industry’s broadest selection of LED products to fit virtually any lighting application, from LED packages to integrated solutions. Luso Electronics Distribution has signed a distribution agreement for the UK and Ireland with APW Electronics, a designer and manufacturer of 19-inch racks and cabinets. APW’s IMRAK, VERAK and IMAGE ranges are well known internationally and the company has significantly expanded its range of products and services in recent years and now offers a high level of flexibility in the design of customised products and turnkey solutions. Anglia Components has launched a new transactional website - www.anglia-live.com - that combines same day shipment, next day delivery for meeting tight design deadlines with Anglia Part Tracker availability information, which ensures that only devices recommended for new designs are used. The site went live this week and looks to support the UK’s vibrant design engineering community. Rutronik is stocking Chilin Solutions’ latest ruggedised high-brightness outdoor LED displays in 55" (ODX55LBHa) and 46" (ODX46LBHa). The enclosure design and optical treatment enable high-quality image performance in demanding outdoor environments. Arrow Electronics is making available a pair of evaluation modules that will assist designers in the selection of parts for – and the development of – data conversion systems. 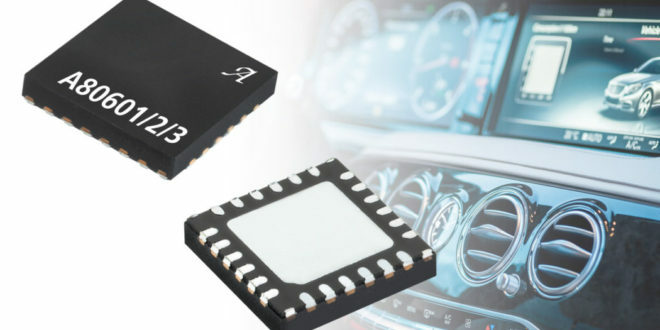 The TSW1405EVM and TSW1406EVM have been developed jointly by Texas Instruments (TI) and Lattice Semiconductor and feature Lattice FPGAs and TI analogue-to-digital converters (ADCs) and digital-to-analogue converters (DACs), respectively. 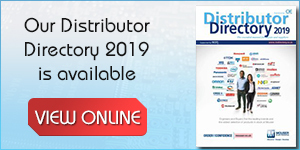 Mouser Electronics has unveiled a number of enhancements to its technology site on Mouser.com covering radio frequency (RF) Wireless Technology which has been expanded to feature the leading drop-in RF solutions. The new RF Wireless Technology site"s enhanced Solutions spotlight looks to help design engineers choose from the latest integrated solutions and drop-in modules with pre-certified radios that instantly add wireless capabilities to existing applications. Silica, an Avnet company, and Philips Lumileds have announced they have signed a distribution agreement which comes into effect immediately. Under the terms of the agreement, SILICA will support sales, marketing and support activities for Philips Lumileds full line of LED products in Europe. Avnet Memec, an Avnet company, has been appointed as pan-European distributor for Telegesis UK Limited, a leading supplier of ZigBee radio module technology. The new agreement takes effect immediately, and will make Avnet Memec a key distribution partner for the entire line of Telegesis ZigBee radio products.